We will keep you updated via email about Plastic Free Coastline and Surfers Against Sewage’s work. We will never, ever swap or sell your details and you can unsubscribe at any time. Plastic bags fragment in 100-300 years depending on thickness and size, but will remain at large in the environment indefinitely! SAS beach cleans in 2017 removed over 29,000 plastic bottles! They are consistently in the top ten items found on our beaches. Once you’ve started reducing your plastic use, please share the campaign with friends or chip in a few pounds to help support the project. We’re also looking for Community Leaders to take their towns to the next level. Plastic-Free Wedding Hacks. 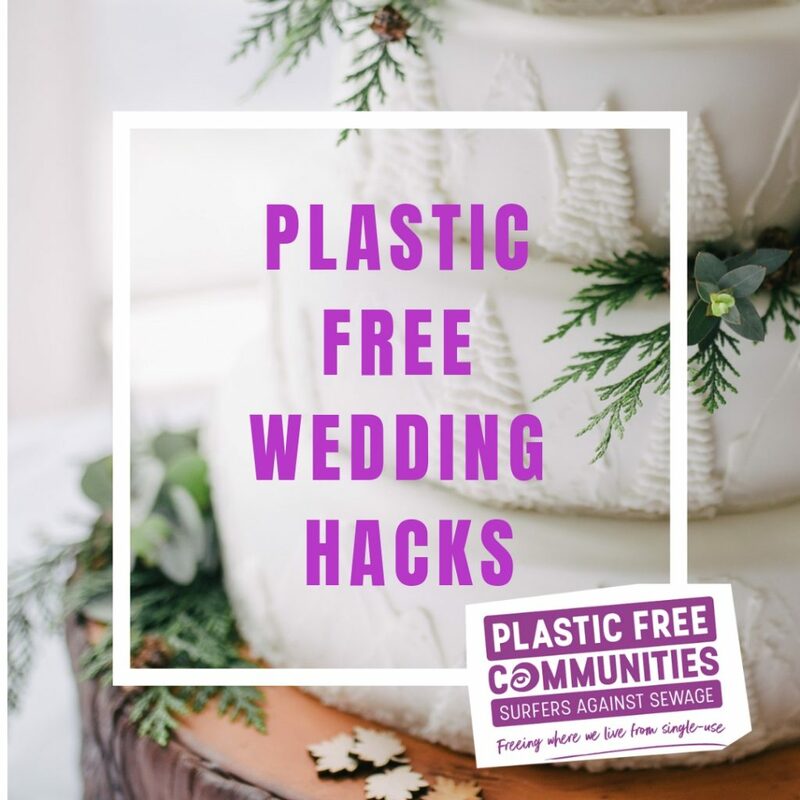 Top tips for going plastic free on your big day.